How Does Hearing Really Work? Hearing is an essential part of our daily lives. Sound. It’s all around us. It’s your pesky alarm waking you in the morning. It’s the chirping of summer birds. It’s the words we choose to say to one another. Hearing is such a critical component of our daily lives, but how does hearing really work? Here’s a quick run down into the complex wonder that is our ears. To understand how we hear we first need to know what sound really is. Sounds are invisible vibrations that travel through the air. Any time someone speaks or your telephone rings, invisible vibrations zip through the air in all directions. These vibrations are what we call sound waves. Every sound wave is different. Some sound waves with a higher frequency are higher, where others are lower. That’s why our voices can generate a whole range of different sounds. When our ears capture these different sounds we can interpret them into separate messages that our brains can understand. How well the sounds are captured comes down to our ability to hear. Your ear is your body’s natural hearing device, and it has three major components. 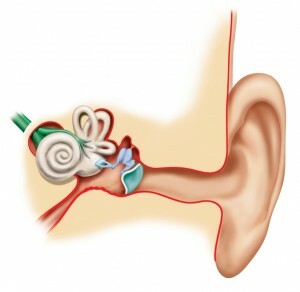 The outer ear collects sound waves and directs them into the middle ear. As sound waves enter the middle ear they are transformed into mechanical pressure waves that are then transferred to the fluids of your inner ear. Finally, the inner ear, or cochlea, turns these pressure waves into signals that our brain can interpret. Inflammation of the inner ear is a common cause of hearing loss. The process of hearing is simple. First, sound waves enter into your ear canal and strike the eardrum. Vibrations ricocheting from your eardrum move through the fluid in your inner ear and cause tiny hair cells to move. When these tiny hair cells detect movement the waves are then changed into chemical signals for your hearing nerves. Your hearing nerves use electrical impulses to send the information to the brain, where it is then interpreted as the sounds we know and love. This entry was posted on Friday, June 24th, 2016 at 9:46 am. Both comments and pings are currently closed.